The cable cowboy’s Liberty Global is selling another business, this time to Swiss group Sunrise for $6.3 bln. As in Germany, Malone gets a premium for a sub-scale operation. The benefits for the buyer from bundling mobile, TV and internet services may be competed away. 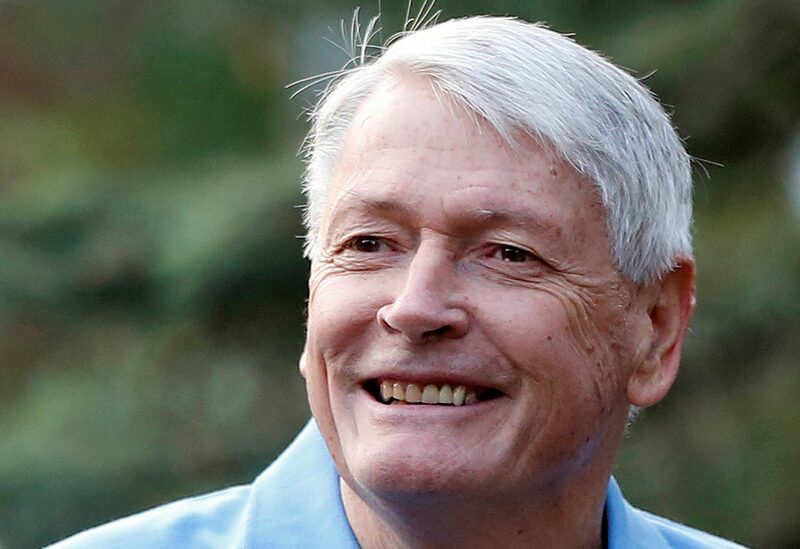 Chairman of Liberty Media John Malone attends the Allen & Co Media Conference in Sun Valley, Idaho July 12, 2012. Sunrise Communications on Feb. 27 agreed to buy Liberty Global’s UPC Switzerland business for an enterprise value of 6.3 billion Swiss francs ($6.29 billion). Sunrise will pay Liberty Global 2.7 billion Swiss francs in cash, and assume 3.6 billion Swiss francs of UPC's debt. It will fund the deal partly through a 4.1 billion franc rights issue, which will also go to paying down roughly 1.1 billion francs of existing borrowings. The rights issue must be approved at Sunrise’s April 10 shareholder meeting. The transactions will leave its net debt at roughly three times its trailing EBITDA, falling to 2.7 times once 190 million euros of cost synergies from the deal are included. UPC’s business has 1.1 million TV customers and 138,000 mobile phone clients in Switzerland. The deal is expected to close in the second half of 2019. Sunrise shares were down 10.6 percent to 72.15 Swiss francs at 0830 GMT on Feb. 28.